Let's be honest....I'm pretty sure the only times I am going to blog are for Ella's weekly and monthly updates, and then for Five of Friday. Sorry I'm not sorry. 1. March Madness is officially underway, and my bracket is officially sucking it up right now. So far, I have gotten only 9 out of 16 games right. And I'm in last place in our pool. Ugh. 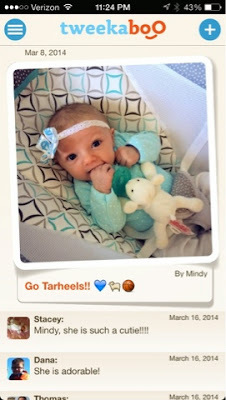 I guess that's what happens when you have your 6 week old help you (I would tell her the names of the teams, and whichever one made her cry the least is the team I picked. Ha!). I just really, really, really need Duke to lose today. My dad went to Mercer (who Duke is playing) and having gone to a smaller school myself, I always like to root for the underdog. Plus, I reallllllly hate Duke and them losing would help my bracket out immensely. 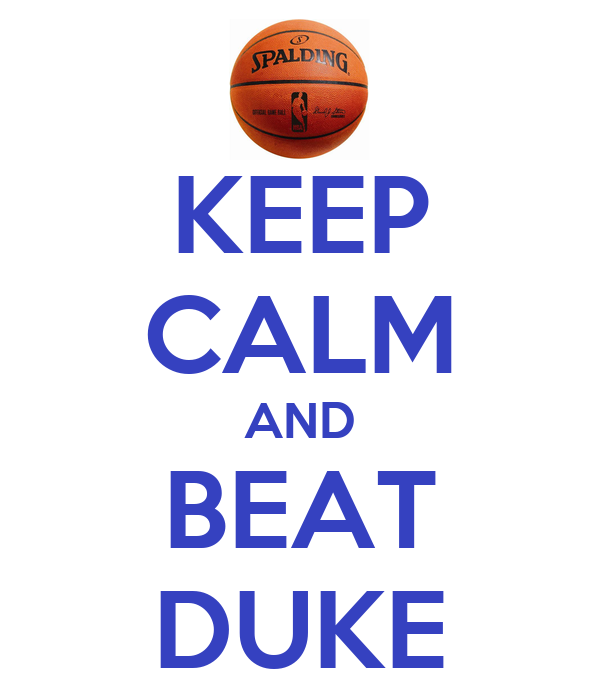 So please cheer against Duke for me today! 2. I finally got Ella's birth announcements ordered and sent out! I pinky promise I will share her newborn pictures next week! 3. Moms! (Or dog moms! Or anyone who just likes to share pics without posting all over Facebook!) I found a new app that I totally wish I had invented. It's called Tweekaboo and you post pictures to privately share them with family and friends. I already have a photo stream where I share all of my Ella pictures with family and friends, but I love this for anyone who doesn't have an iphone or ipad (they can access Tweekaboo via their website too). Plus, you can sync it with your Facebook pics, AND you can also make a photo book of all the pictures with people's comments! It's basically like a virtual baby book. So I have been posting Ella pics onto Tweekaboo (in addition to posting to the photo stream....hey, I need something to do during feelings!) and I plan on ordering a book of all my Facebook and photo stream posts for her whole first year! I wish I had thought of this....genius, I tell ya! 4. I could finally start running again on Monday and it was pretty much the greatest thing ever. I was only going to run a mile...and then I figured I could run 2 miles...and then I thought, hell I might as well just run 3 miles. And now I am insanely sore! 5. Travis is in Vegas for a bachelor party (ugh), but I have quite an exciting weekend planned for Miss Elle Belle and myself! Tonight, we are going to see my mom who will be in Hickory for a conference (an hour away from us). Tomorrow, a girl I used to babysit for in high school and her mom are stopping by to meet Ella (they are in town visiting colleges), and tomorrow night I'm having wine night with my girlfriends!!! Cheers to a great weekend!!! Ugh Kevin has been in Vegas all week for work. Shoot me. Hope you and Ella have a wonderful weekend! 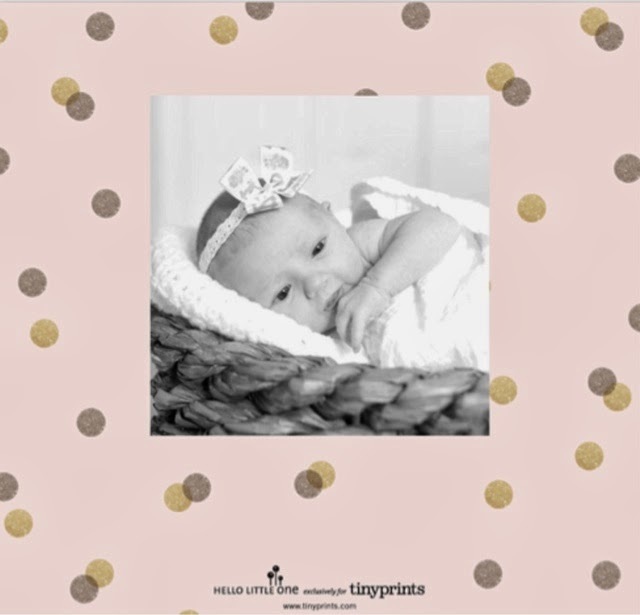 Swooning over her birth announcement - beautiful!! And Duke just lost!!!!! So neat your Dad went to Mercer! Have a great weekend!! You got your wish with Duke!! Have a fun girls weekend! 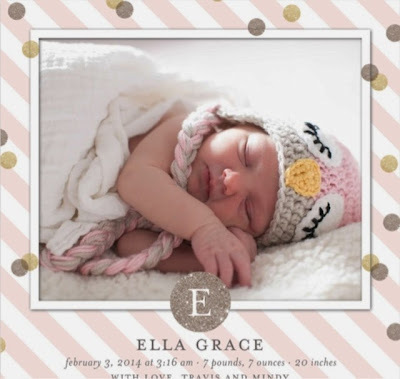 Those birth announcements are just gorgeous! And yay for Mercer!